Nov. 27, 2018 – One of the earliest beneficiaries of Industry 4.0 manufacturing techniques has unveiled a detailed guide to adoption that avoids a negative impact on current production. 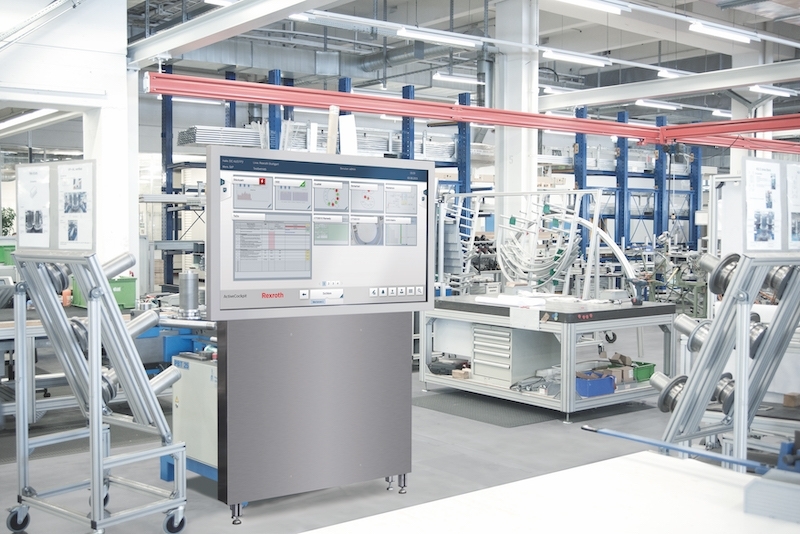 However, the Bosch Rexroth white paper, “A practical roadmap for the implementation of Industry 4.0,” argues that Industry 4.0 is an evolution, not a revolution, and includes practical suggestions for a three-step approach, supporting the steady implementation of connected manufacturing technologies, bolting sensors and hardware to existing production infrastructure. The white paper also outlines how Industry 4.0 can be scaled to meet the demands of SME manufacturers and adapted to meet specific business demands such as improved productivity, increased quality and consistency or scaling up production. For any manufacturing business, the key step will be to implement those changes that will give them the biggest benefit here and now. The good news is that this doesn’t mean large scale capital investment through the wholesale replacement of legacy equipment. As is shown in this latest report, even a 19th century treadle lathe can be upgraded for use in the 21st century using Industry 4.0 technologies and techniques. To download a free copy of Bosch Rexroth’s “A practical roadmap for the implementation of Industry 4.0” click here. Government invests in two Indigenous forestry projects in B.C.